​Statement from Assistant Commissioner Neil Basu, National Lead for Counter Terrorism Policing in the UK: "I would like to begin by offering my deepest condolences to the family of Dawn Sturgess, who sadly died on Sunday. 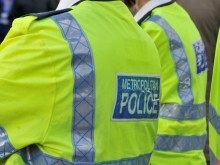 Police are appealing for witnesses and information after a road traffic collision left a man with a serious leg injury. 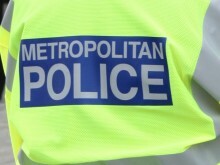 Police are appealing for witnesses and information after a man was attacked and stabbed in Poplar. ​On Tuesday 26 June, the Met joined the rest of the UK in celebrating Armed Forces Week, an annual event that recognises the contribution Reservists and Cadet Adult Instructors make to their organisation and the Armed Forces. 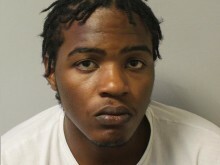 Detectives in Brent have released the image of a man wanted in connection with a stabbing. 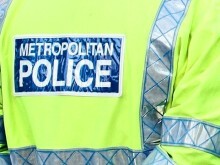 A Metropolitan Police Special Constable has been dismissed after being convicted of making indecent images of children. The matrix is used to risk assess gang members in every London borough. Its aim is to reduce gang-related violence. Keith Nelson, 51, has been sentenced to life imprisonment - to serve at least 23 years - for the murder of 34-year-old Alfred Purcell in East Ham in June 2017. A man has been jailed for murder and attempted grievous bodily harm after deliberately driving at a moped rider and pillion passenger. Four men who subjected their victim to a ‘gangland style beating’ were sentenced to a combined total of 11 years and 3months’ imprisonment.